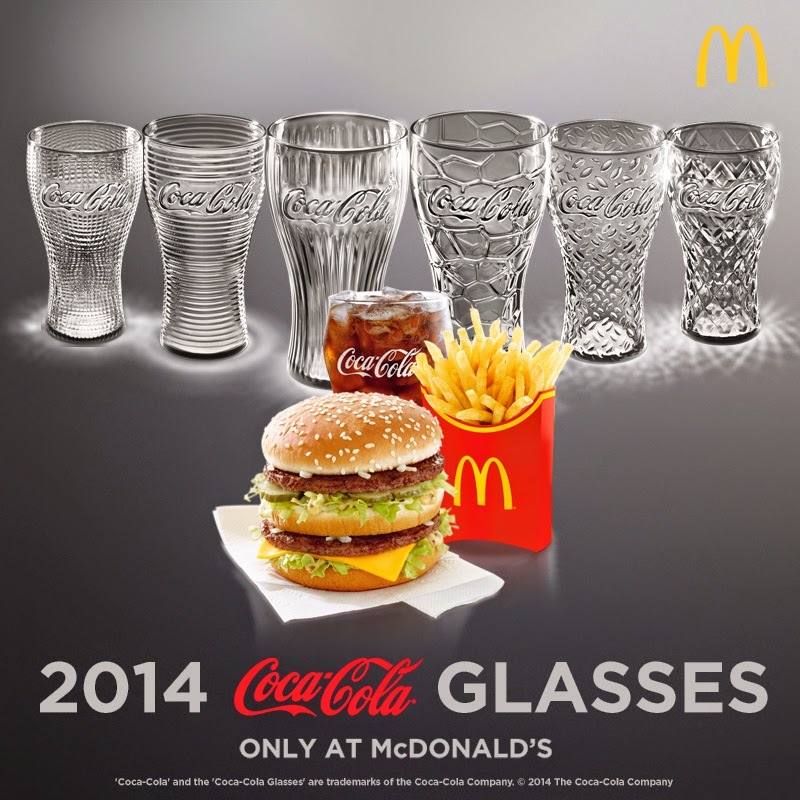 2014 McDonald’s Coca-Cola Glasses are Back: Now Classier than Ever! Hello boys and girls! 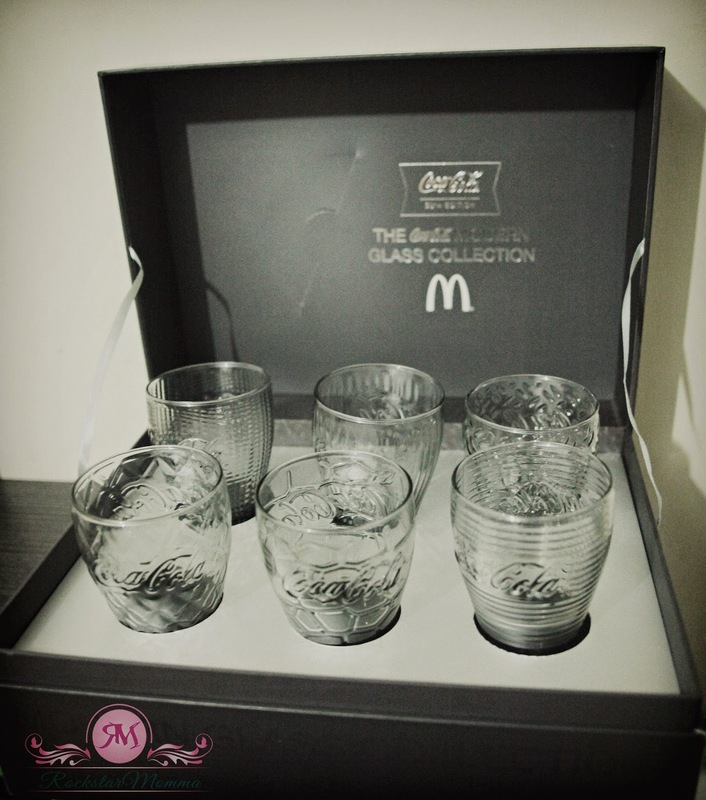 The 2014 McDonald’s Coca-Cola Glasses are back, and now classier and sexier than ever. 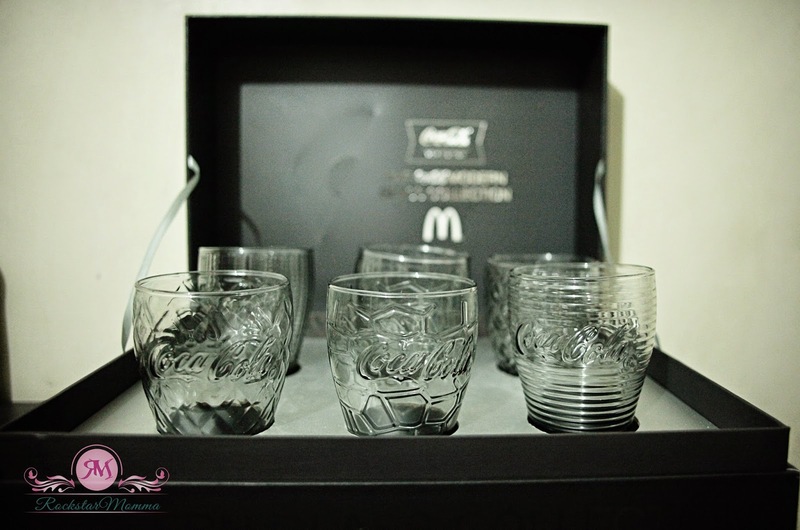 I received a package from McDo today and it's the 2014 Coca-Cola Modern Glass collection. I love how the designs add a premium yet playful touch to one’s dining experience. 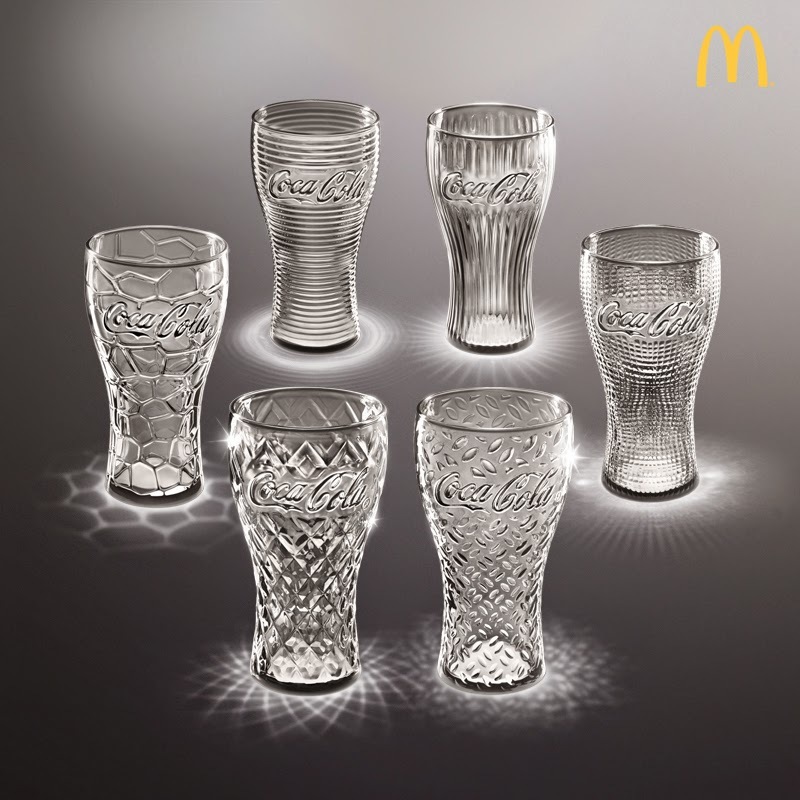 Fusing modern imagery and contemporary design to create six visually distinctive patterns, diamond, linear, mosaic, pixel, ripple, and steel, this year’s Coke Glasses take inspiration from graphic elements and will all be offered in a light grey color. Just add Php 25 to a purchase of a McDonald’s Extra Value Meal. The promo is also valid for purchases of a BFF Burger or Chicken Bundle and breakfast Extra Value Meals.